Photo of Warrumbungle International Dark Sky Park, Australia (Established in 2016) by Katherine McInroy, katherinemcinroy.com. Big Park / Village of Oak Creek, Arizona, U.S.
Big Cypress National Preserve, Florida, U.S.
Capulin Volcano National Monument, New Mexico, U.S.
Dead Horse Point State Park, Utah, U.S.
Flagstaff Area National Monuments (Sunset Crater Volcano, Walnut Canyon and Wupatki), Arizona, U.S.
Goblin Valley State Park, Utah, U.S.
Great Basin National Park, Nevada, U.S.
Kissimmee Prairie Preserve State Park, Florida, U.S.
Salinas Pueblo Missions National Monument, New Mexico, U.S.
Cosmic Campground International Dark Sky Sanctuary, New Mexico, U.S.
Warrumbungle National Park, located in west-central New South Wales (NSW) is our first Dark Sky Place in Australia. 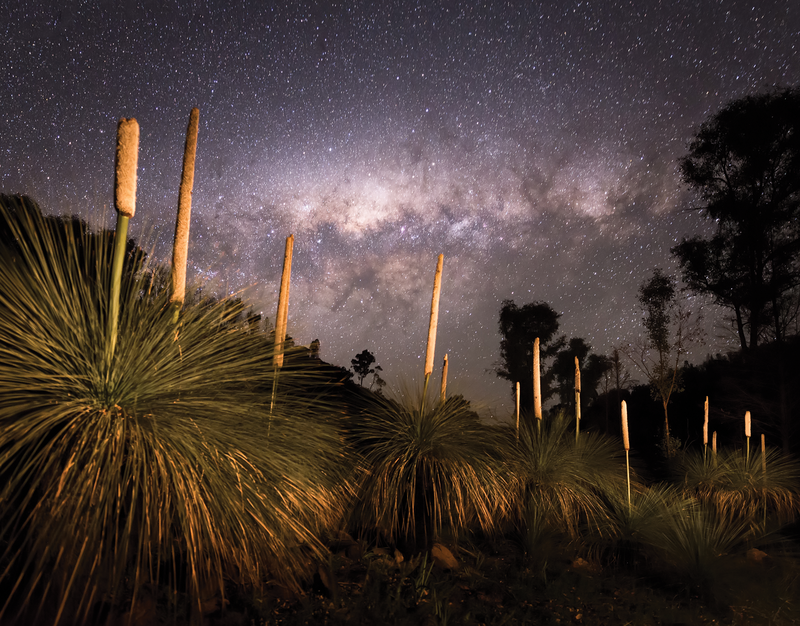 The designation helps protect the key role the area plays in Australian astronomical research. Dark sky qualities will be protected with $100,000 in funding to control light pollution through implementation of updated planning policies. A new Dark Sky Planning Guideline has also been developed with the Australian Astronomical Observatory as part of the NSW government’s review of state planning policies. On December 3, 2016, we hosted our Annual General Meeting at the Aloft hotel in Tucson, AZ. Our theme, “Harnessing the Power of the Grassroots to Reduce Light Pollution and its Environmental Impacts Worldwide,” describes the power of engagement and support IDA and our enthusiastic supporters possess. We hosted chapter leaders, presentations of IDA’s 2016 awards, a presentation from Megan Albaugh Bonham from Northwestern University to explain our survey we recently sent out to members, and a special presentation, “The Making of the New Katahdin Woods and Waters National Monument in Maine,” by Mark and Susan Adams, the Recreation Managers of the newly named National Monument. Our Annual General Meeting was a fantastic opportunity for networking as well as a peak into the day in the life of a supporter from all over the world. We are all a part of a wonderful community of dark sky advocates and the day was a wonderful and invigorating experience to reunite our passion for saving the dark skies. The Fixture Seal of Approval provides objective, third-party certification for luminaires that minimize glare, reduce light trespass, and don’t pollute the night sky. The International Dark-Sky Association is the authoritative voice on light pollution. IDA educates lighting designers, manufacturers, technical committees and the public about controlling light pollution. We recognize that the best way to accomplish our goal of protecting and restoring our natural night environment is through the promotion of quality outdoor lighting. To achieve this, we developed the Fixture Seal of Approval program to provide objective, third-party certification for lighting that minimizes glare, reduces light trespass and doesn’t pollute the night sky. We are excited to announce that IDA is partnering with the University of Utah to host the 5th International Artificial Light at Night (ALAN) conference in 2018. The 5th ALAN conference will be held November 12-14, in Snowbird, Utah. Prior to the conference, IDA will host its 2018 Annual General Meeting, November 10-11 at the same venue. The ALAN conference series is a multidisciplinary forum that brings together a diverse group of researchers from across the globe. The series is dedicated to examining all aspects of artificial light at night. DONATE NOW to help us protect our night skies for many years to come! Next post: 15 Million Tons of Carbon Dioxide Emitted Each Year On Residential Outdoor Lighting in the U.S.